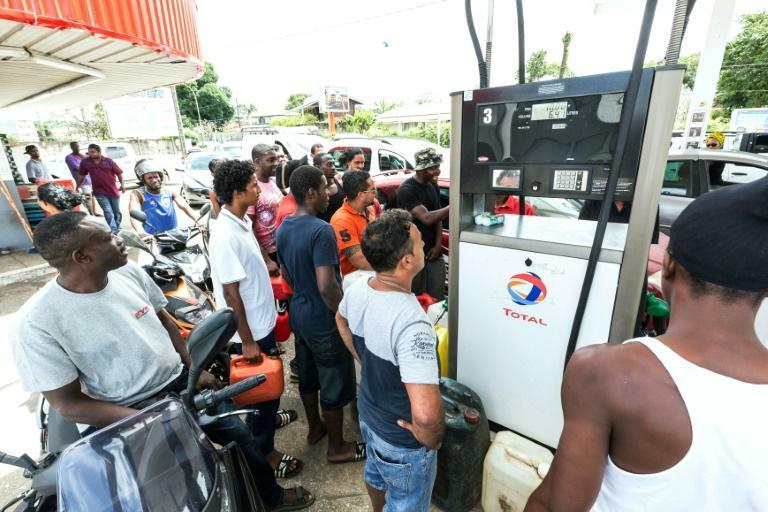 Life in French Guiana was severely disrupted by a general strike on Monday that closed schools and shops and stoked fears of further instability in one of France's overseas territories. The French government appealed for calm in the South American territory which has been gripped by protests since last week over security and the state of the economy. "The first priority is the fight against insecurity," French President Francois Hollande said of the crisis that has elbowed its way into the country's presidential election campaign. Barricades have been erected on roads since last week, snarling traffic, and the US State Department has warned travellers to stay away, citing the risk of violence. The barriers were temporarily lifted on Sunday and some stores opened so people could stock up on food and other supplies before the strike began. But many shops were open on Monday and there were fewer demonstrators, with dozens manning the barricades blocking cars from entering the capital compared with hundreds the previous day. Air France and Air Caraibes cancelled all flights into Guiana and schools and universities were closed after 37 labour unions launched the strikes demanding a "Marshall Plan" to improve public services and security. The unions have called for a "journee morte", or complete shutdown of activity, on Tuesday, the newspaper France-Guyane said. The protests also led to the postponement of an Arianespace rocket launch at Europe's Guiana Space Centre in Kourou. French Prime Minister Bernard Cazeneuve said a delegation of ministers would be sent to Guiana before the end of the week if certain conditions were met, without elaborating. "The situation is tense," said Ericka Bareigts, the French minister for overseas territories, appealing for calm. The French government had previously sent a delegation to negotiate with strikers, but many of the territory's 22 mayors refused to meet the officials, instead demanding that French ministers come in person. "This has gone on long enough! All we have is plundered, it's time to recognise the people of Guiana," a woman at a barricade blocking access to the airport in the capital Cayenne told AFP on Sunday. The "Collective to Get Guiana Moving" has called for better access to health services and electricity, economic development and job creation programmes, and renewed efforts to keep children from dropping out of school. Guiana, with about 250,000 inhabitants, relies on huge injections of public funds. "We have the impression that the government does not see how completely fed up the people are," Antoine Karam, Guiana's representative in the French Senate in Paris, told French television Monday. "Today, 30 percent of the population still does not have access to drinking water or electricity". "We are not treated the same way as the French on the French mainland," said the Socialist Party lawmaker. Several of the candidates running for the presidency in France have pounced on the crisis which flared just weeks before the first round of voting on April 23. "This situation is the consequence of the failed policies of Francois Hollande," said conservative candidate Francois Fillon. Marine Le Pen, the far-right National Front candidate, condemned what she called a "cruel minimum service" delivered by French governments to Guiana. A similar revolt gripped French Guiana in 2008 over soaring fuel prices, shutting down schools and the airport.